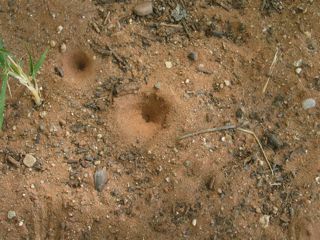 There is evidence of activity of an insect in this photograph. Can you guess what it is? That's a good guess, because some wasps do nest in the ground. Hint: This one is a bit tricky because it isn't found everywhere.